One of the most prominent threats to a film or the creation of a media starts before any scenes are shot or words are written. It all begins with the concept. In this day and age of visual and cinematic saturation, the concept of a film or any type of media is the most vital part of the process of its creation. The conceptualization of a work and figuring out what exactly that work will be is a crucial foundation for the rest of the process. Many things can go wrong in this creative process, whether it be for film, books, or any type of work. Poor planning can lead to plot holes and gaps in the story, which is why the Goblet of Fire in the Harry Potter series is the longest book in the series, J.K Rowling unintentionally created a massive plot hole and had to spend the rest of the book trying to cover it back up. Poor writing can lead to poor characterization and thus render a movie tensionless, such as in a recent film, Lucy. Or, the concept could just be plain awful which essentially ruins a movie before it even begins production, such as “My Son, My Son, What Have Ye Done?” as it completely misfires on its attempt at being a look into man’s madness. 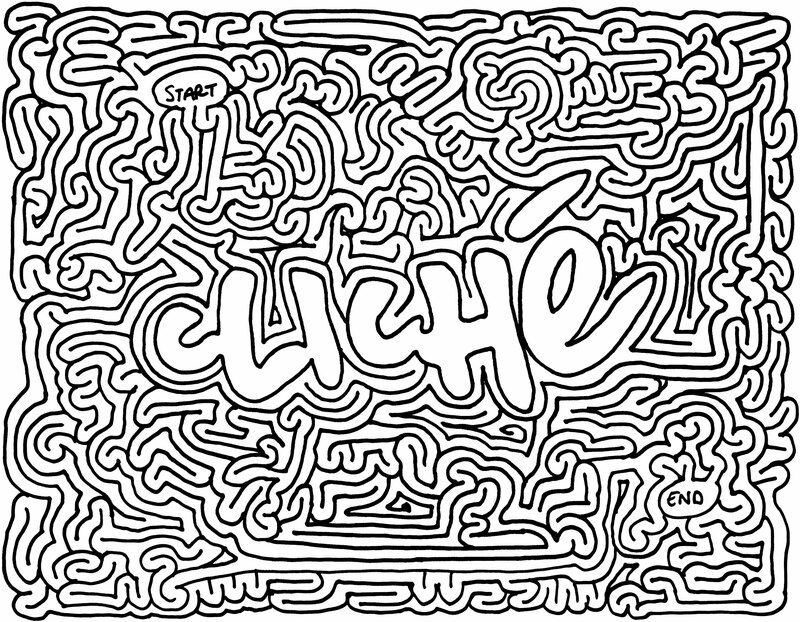 But the most made mistake in the creative process is the cliche. What exactly is a cliche? It doesn’t really apply to cinema, as what I’m discussing is really the over use of certain concepts. What I’m talking about can be attributed to Gilles Deleuze’s book, “Francis Bacon: The Logic of Sensation” in which Deleuze’s describes the creative process as a sharpening of ideas. Essentially, when someone wishes to create, they don’t start with a blank slate, instead they have millions of ideas flying through their head, and creating something is the process of eliminating those ideas into one, one concept chosen and crafted over others. But more importantly, he explains that when we are in the creative process, we have what are called “psychic cliches” which are in his words, “ready-made perceptions, memories, and phantasms.” These are ideas and situations that we have already seen, they are concept cliches, and when we are creating, they will come to us first, because we know them best. But its hard to fix this problem of cliches because there’s nothing technically wrong with them, which makes it a very unnoticeable problem. And honestly, I would rather watch both of those bad films I mentioned above, being much lower than C’s, than a cliche just because at the very least they attempted to be something, they tried to be different and didn’t settle. 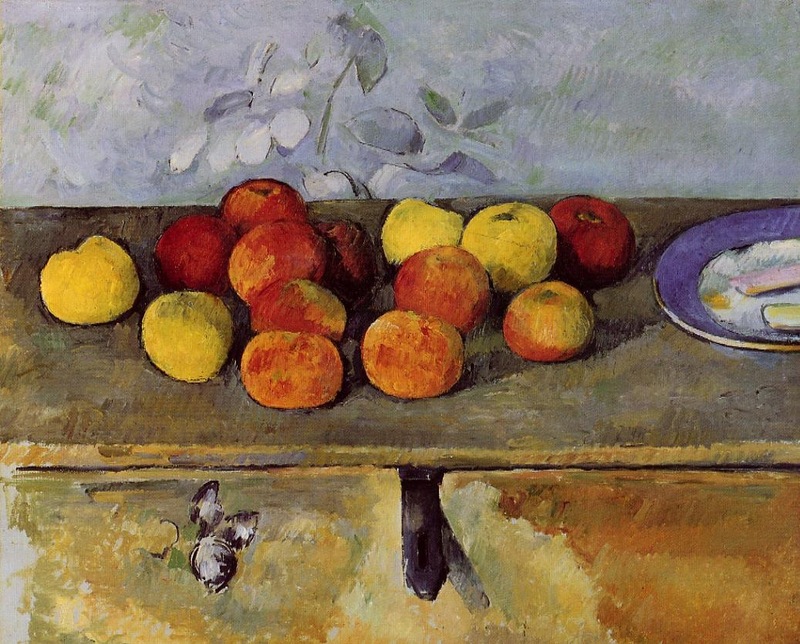 Going back to Deleuze’s book, he provides some passage from another writer on an artist named, “Cezanne” in which it shows Cezanne’s struggle with painting apples. Cezanne’s apples always looked terrible, because he refused to paint them like everyone else’s, he strove to be original, and never settled. Unfortunately, cliches make up a very vast majority of our cinematic age, we see things like the Avengers, or The Expendables, and we throw money at the screen over and over again because those movies never take risks, we know exactly what they’re like and how they’ll end, and apparently we’re happy with that. The Cliches in this trailer are so preposterously bad that its almost comical. No, I take that back. That many cliches in a row IS comical. But the crisis of cliches is a problem that can only become greater. As time goes on, more ideas will be thought of, and more original concepts taken up, meaning that as time goes on it will be harder and harder to actually be original. But I believe that it is always better to take the harder road, and strive to be original than to settle for cliche, no matter how much harder it is. I’d much rather takes risks and fail trying to be myself than to settle for average in a cliche.